Join hands with us in the fight against hunger and food waste! 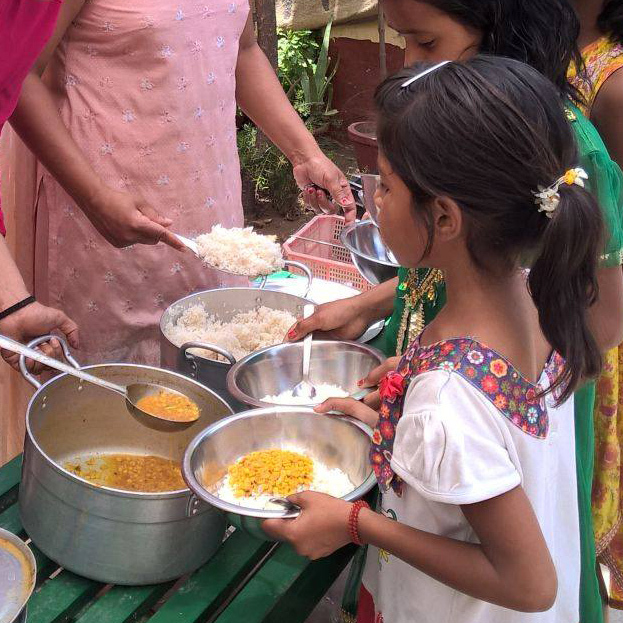 Create Awareness on Behalf of IFBN: Represent IFBN at community events, speak to local groups about hunger and food waste in India and IFBN, and encourage them to get involved. You can help us spread the message through Social Media: help us enhance and maintain our presence on various social media platforms by being an active follower on Facebook and Twitter, as well as promoting the same. Contribute to IFBN's Resources: Design communication collateral like fliers and pamphlets for events, enhance our informative website, carry out documentation, create grant proposals, undertake partnership development, and follow-up and communicate with stakeholders, to share our current projects and successes. Help with Special Events or Create Your Own: Occasionally volunteers are needed to publicize special events. You can conduct a food drive at the local level in your residential locality, educational institution or workplace to raise food, and advocate the cause on behalf of IFBN. For Food Banks: you can join the cause to pack meals, support warehouse operations, and assist with administrative tasks. You can apply your professional skills and talents to make a difference in the lives of countless individuals around India. We stand united in our fight against hunger for 194.6 million people in India. Let's pledge to contribute on a sustained basis to those who don't have access to sufficient nutritious food. You can take care of hungry people in your locality, join NGOs, or participate at our Food Banks to join the fight. India FoodBanking Network depends on the support of concerned citizens like you to deliver practical and proven solutions that get food to hungry children and families. Your contribution today will help build and strengthen food bank systems nationwide and feed millions of people by rescuing and channelizing surplus food. You can donate by issuing a cheque in favour of 'Food Security Foundation India'. You can make a one-time donation on a special occasion or in honour of a loved one, or you could contribute on a regular basis. With even a small contribution each month, you can make a real difference in the fight against hunger.